The Practice of surgery has been recorded in India around 800 B. C. This need not come as a surprise because surgery (Shastrakarma) is one of the eight branches of Ayurveda the ancient Indian System of medicine. 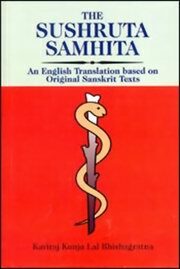 The oldest Samhita ( Shushuta’s compendium). Sushruta Samhita is the only complete book we have which deals with the problems of practical surgery and midwifery. Shushruta was one of the first to study the human anatomy. In the Shusruta Samhita he has described in detail the study of anatomy. Shusruta’s forte was rhinoplasty (Plastic surgery) and ophthalmology (ejection of cataracts). Shushruta has described surgery under eight heads Chedya (excision), Lekhya (scarification), Vedhya (puncturing), Esya (exploration), Ahrya (extraction), Vsraya (evacuation) and Sivya (Suturing). Perhaps the greatest contribution of Shushruta was the operation of rhinoplasty (restoration of a multilated nose by plastic survey). The detailed description of the rhinoplasty operation in the Shusurta Samhita is amazingly meticulous and comprehensive. These is evidence to show that his success in this kind of surgery was very high, which attracted people from all over the country and perhaps even from outside. Shushruta moved by his intense humane approach to life and equipped with superb surgical skills, elevated the art of surgery to the status of a practical science. The details of the steps of this operation, as recorded in the Shushruta Samhita, are amazingly similar to the steps that are followed even to-day in such advanced plastic surgery. Very nice book. everybody should know the knowledge of the content provided in sushrutha samhitha. Very nice book. everybody should know the knowledge of the c ..